The industry clearly has an issue at hand with the security of the Internet of Things, and the problem is complex as some devices are easily accessible due to bad configuration (e.g. default username/password), while others may have security flaws at various levels of the software stack from the low level bootloaders to the operating systems, and applications. Nowadays, devices also need to be upgradeable, and communicate with the cloud, and that introduces other attack vectors in case malignant firmware is installed instead, or a man-in-the-middle attack occurs. 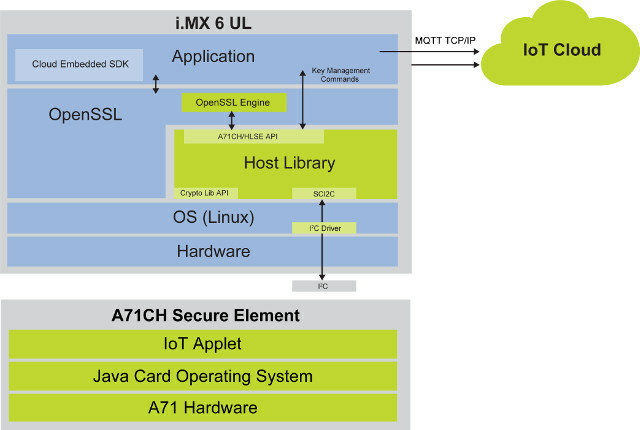 While some people may claim security can be achieved by software only, we are seeing security evolving towards combined software and hardware solutions, for example with Arm Trustzone built into SoCs, but some companies are also introducing Secure Element chip, which Samsung has already done and integrated into their Artik modules to secure data from the hardware to the cloud. 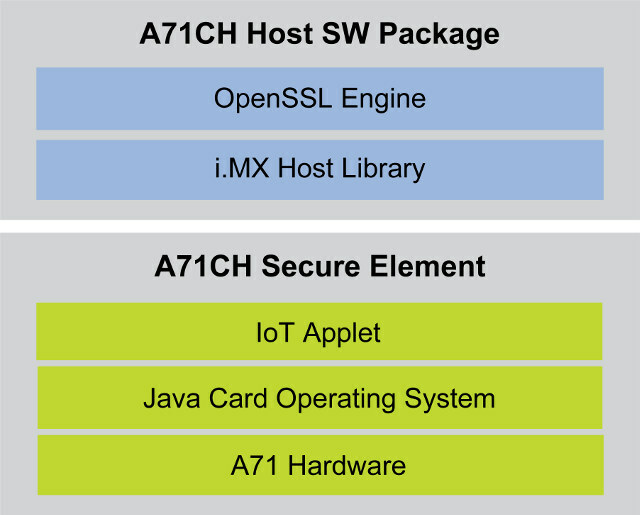 NXP has now also launched their own A71CH Secure Element (SE), described as “a trust anchor, ready-to-use security solution for next-generation IoT devices, such as edge nodes and gateways”, and designed to secure peer-to-peer or cloud connections. 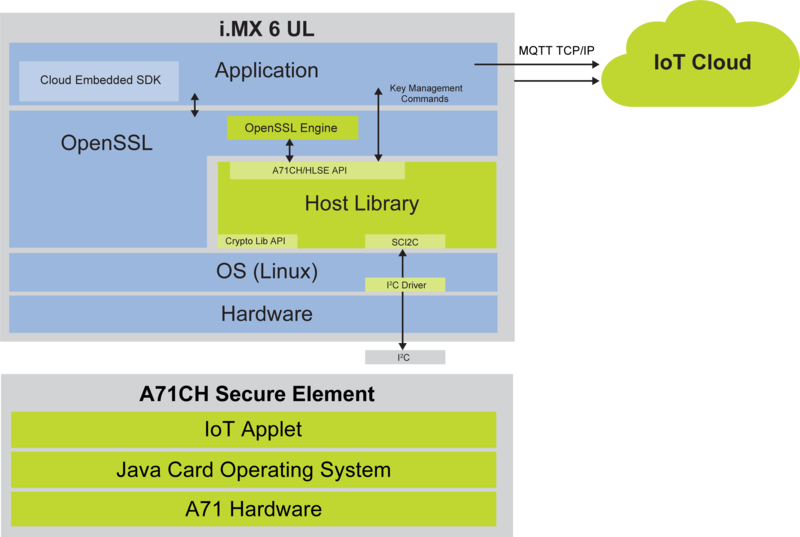 Beside the hardware itself, NXP provides the full software from the IoT applet and Java Card operating system running inside A71CH SE, to the OpenSSL engine and (i.MX & Kinetis) host library. The Secure Element is connected to the host processor via I2C, and the solution is supposed to be plug-and-play and let people securely connect to IoT clouds and services, such as AWS, without writing security code or exposing keys. 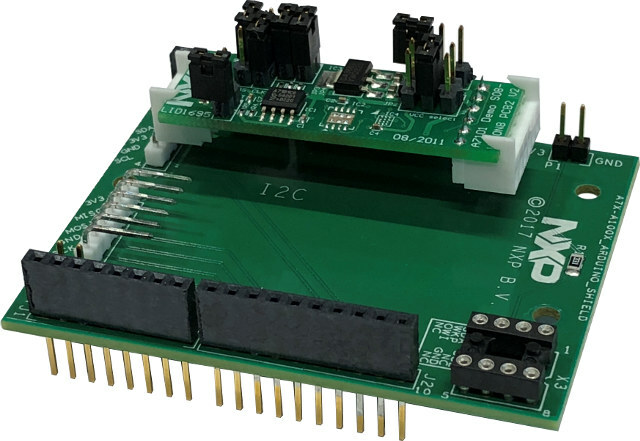 The company also provides OM3710/A71CHARD, an A71CH Arduino compatible development kit, that contains an A71CH-MiniPCB board connected to an Arduino Uno R3 compliant board through I2C male/female 4-pin strip connectors. The board can also take NXP A1006 secure authenticator device (contained in OM13589) to the same I2C bus, and works any NXP i.MX/Kinetis/LPC development board with Arduino compatible header. The documentation explains how to get started with the module, and an application notes goes into the details of electronic anticounterfeit protection with A71CH. Both A71CH Secure Element and development kit appears to be available now (Status: Active), but no pricing has been made public. Visit the product pages for the chip and the devkit for the full details.